- What type of music do you play? Our music is an eclectic mix of covers from the last 6 decades that will get people of all ages dancing at your party or wedding. There is something for everyone. Click here to view our current repertoire. - How do you play for? We offer two hours of live music divided into two or three sets. This can be discussed during the booking process. - What happens between your sets? We would recommend booking our DJ along side the band line up (see below) but otherwise we have a playlist on an IPod that complements our live set, or we can accommodate your own personal playlist from an MP3 player or laptop. We can recommend which option would best suit your event during the booking process. - Do you have different line-up options and how much do you cost? We can always add extra singers and musicians to suit your event to either line up, great for larger events. 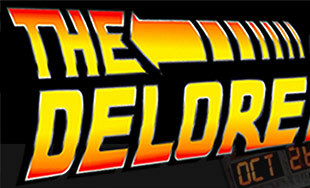 You can also book an original DeLorean car as featured on our website homepage subject to availability. All packages include our PA and lighting system. Please provide us with as much information as possible so that we can provide you with a quick and accurate quote. Fees are dependant on date, location and timings on the day. - What equipment do you provide on the day? How long does it take to set up? - What is your required performance area? Ideally we would require an area of approx. 6m wide by 4m deep although this will depend on the line up you choose, so please check with us before booking. - Will you learn requests? - Can we choose the songs for your live sets? 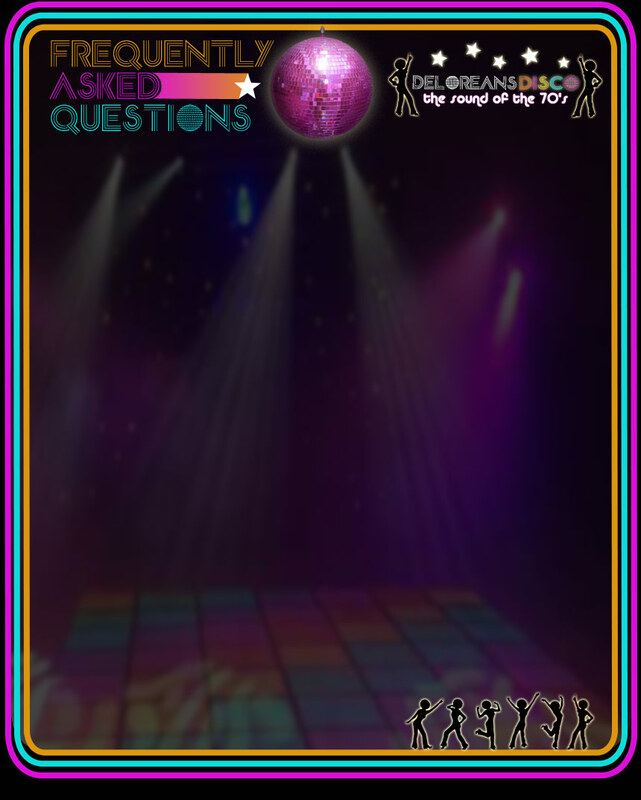 By all means give us your preferences and favourite songs from our current repertoire list, but we strongly advise against picking songs and arranging entire set lists due to the quite specific way in which we put together our performances and medleys. These are designed by us to ensure constant energy and it’s very difficult to choose the set list song by song. What we ask for you to do is select your top ten favourites, which we will then make sure are included and can leave out anything you really don’t like. - How can I see / hear you? Take a look at our promo video, or view our music and video page to hear some more tracks. We put on a few public showcases throughout the year, which are a great opportunity to come and see us play live and meet us. Please drop us a line for further information. - I want to book you / find out more, what do I do next?